In just 3 days, you can explore the best of Copenhagen. 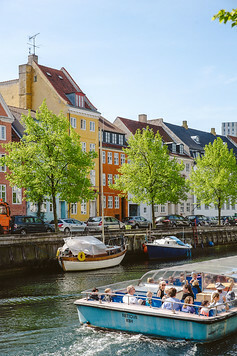 Of course if you have more time I would recommend a week or even a year in the Danish capital – it’s one of my favorite cities I’ve ever visited! But let’s keep this post short and sweet. Today I’m sharing an easy 3 day itinerary that focuses on Copenhagen’s best sights, streets and meals! 1 | Ibsens Hotel – This is a fantastic all around hotel. Centrally located, with affordable rates and an epic breakfast spread. 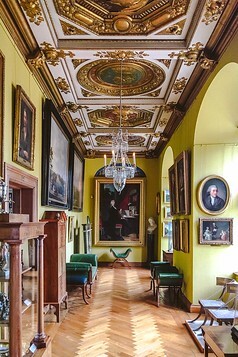 It’s located in a historic building, so room sizes vary from very small to hugely spacious. More photos of our room and a complete review in this post. 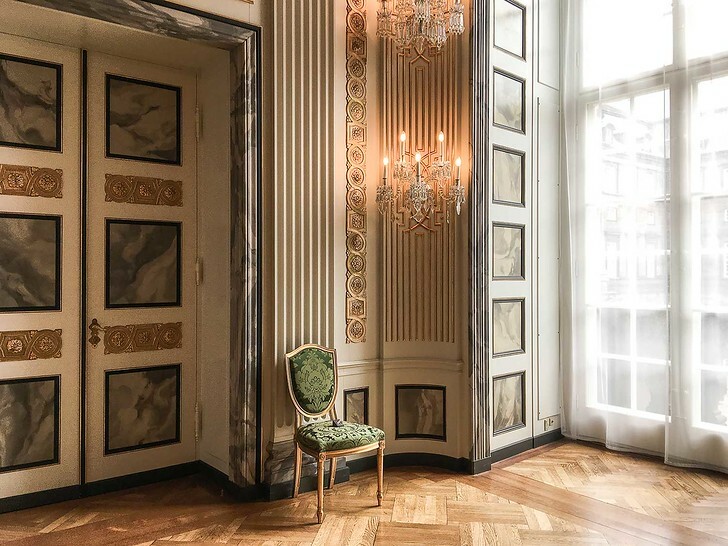 2 | Hotel D’Angleterre – Hotel D’Angleterre sets the gold standard for luxury hotels in Copenhagen. Right in the city center at Kongens Nytorv square, D’Angleterre is close to excellent shopping, museums and great restaurants. Rooms are richly decorated, staff is friendly and service is faultless. The in house restaurant, Marchal, holds one Michelin star. 3 | Hotel SP34 – SP34 is a modern, hip hotel located right in the midst of Copenhagen’s restaurants, shops and cafes. The fireplace lounge epitomizes Danish hygge while the breakfast selection is pretty big! If you want to be close to Tivoli and the metro, this is a great all around hotel in Copenhagen. Don’t forget to buy a Copenhagen Card online before your trip! It grants unlimited use of public transportation and free entrance to 79 museums. Passes can be purchased in 24, 48 or 72 hour increments – all the details here. We also got a copy of Rick Steves Copenhagen to help plan what we wanted to see and narrow down where we should stay. Arrive at Copenhagen’s international airport and ride the train into the city center. Drop off your bags, freshen up and head out for a walking tour of the city! 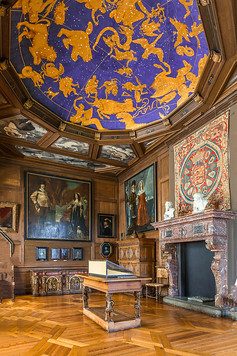 First I recommend visiting Rosenborg Slot, a beautiful renaissance castle that holds the Danish Crown Jewels. 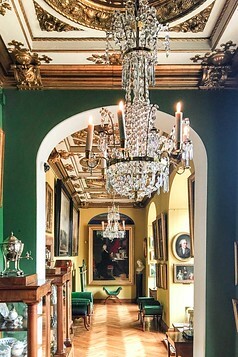 It was originally built as a summer residence but is intricately designed – no one room looks the same! After you’ve had your fill of royalty, head across the street to the Botanical Gardens, a large open public space with beautiful antique glasshouses, lakes and greenery. 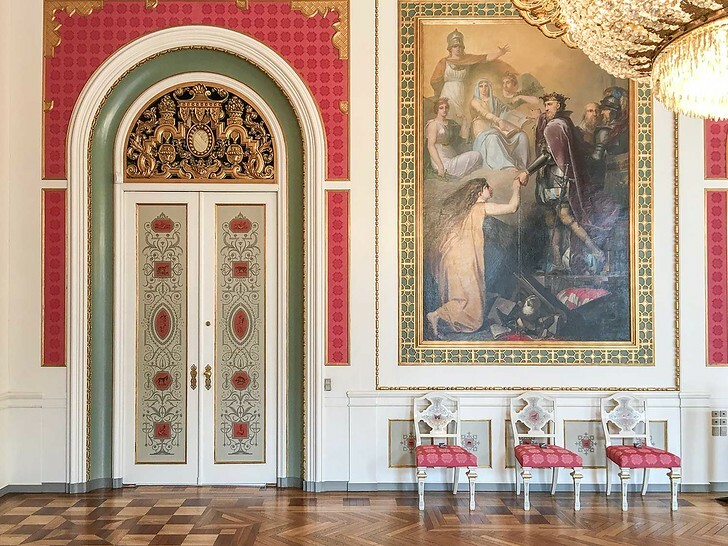 Art lovers can pop next door to SMK, the National gallery of Copenhagen dedicated to works of art from the 14th century to present day. 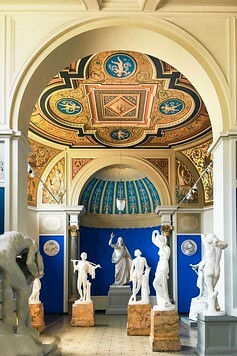 It’s a massive art museum, similar to the Met in New York, where you can spend as little as 30 minutes or your entire day! After a heavy afternoon of sightseeing, it’s time to eat! Copenhagen is famous for its food halls and conveniently, Torvehallerne is within walking distance. This market has over 60 food stands selling everything from gourmet hot dogs, to tacos and chocolate. You can even pick out organic vegetables and flowers! There’s plenty of options so everyone in your party is guaranteed to leave with a full stomach. If you’re still up and looking to explore, head to Stroget for some shopping! 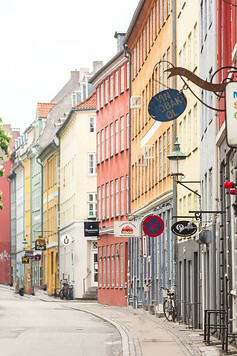 This particular section is Copenhagen’s longest pedestrian street where you can find both chain stores, budget stores and luxury designers. Check out Illum, a magnificent department store that’s been around since 1891 and LEGO – did you know they were Danish? You’ll even find some lego sets here that are unavailable anywhere else! Ibsens is conveniently located next to all the sights and has affordable, clean rooms. Start the day on a high by exploring Copenhagen’s Round Tower. The tall structure overlooking the city was originally built as an observatory and there’s a telescope at the very top! Then, go for a walk through Freetown Christiana. 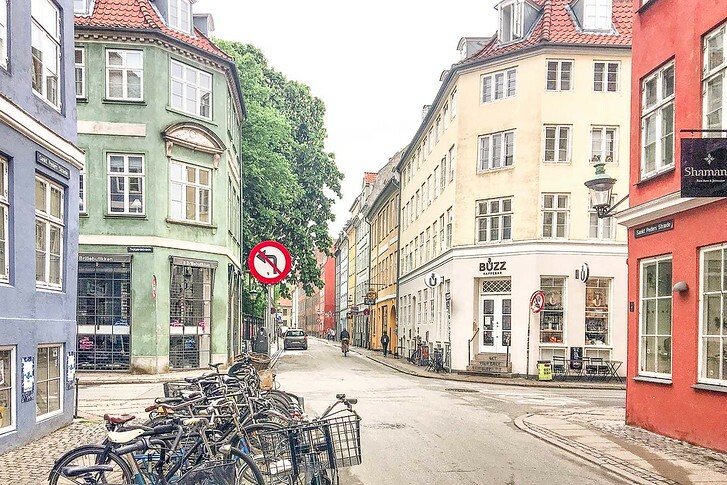 It tops the list of most Copenhagen travel guides but to be honest, we weren’t impressed. The autonomous zone is a commune exempt from law enforcement, so cannabis and graffiti run wild. Don’t take any photos – photography is forbidden! Afterwards, we headed over to Tivoli Gardens to check out what all the fuss was about. This whimsical toy land is like Disney for adults, filled with roller coasters, performances, candy shops and even on site restaurants and food stands. You can even wander into foreign neighborhoods and see a Taj Mahal lookalike and Asian pagodas. It’s a great atmosphere, day or night. For dinner, we enjoyed a 3 course meal at Marchal, inside Hotel D’Angleterre. It’s one of the top Michelin star restaurants in Copenhagen and the ambitious kitchen revamps traditional Danish cuisine to modern heights – with a French twist for good measure! 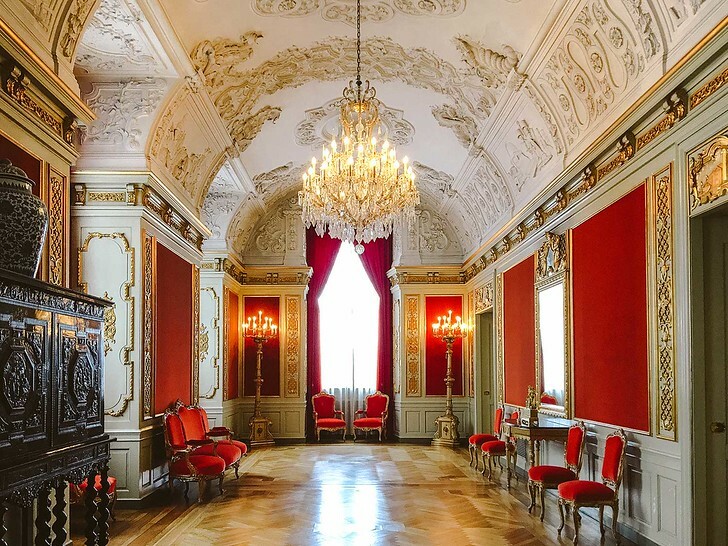 For the first stop of the day, visit Christiansborg Palace, home to the Danish Parliament, Supreme Court and Ministry of State. 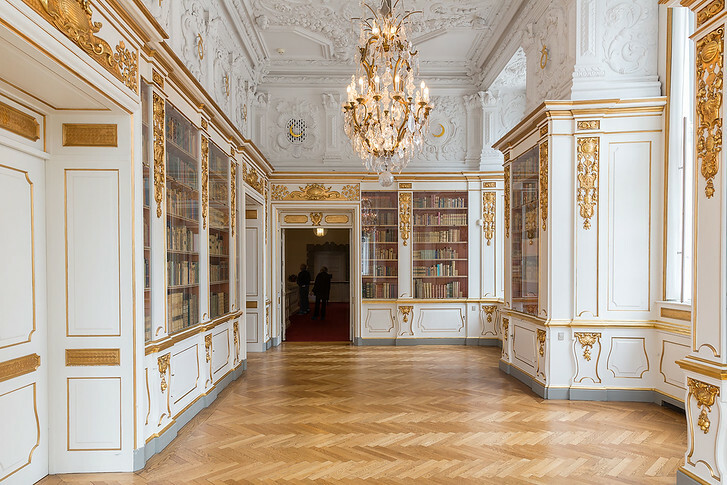 Here you can tour the Palace and peek at sumptuous rooms like the Tower, Library and Oval Throne Room. 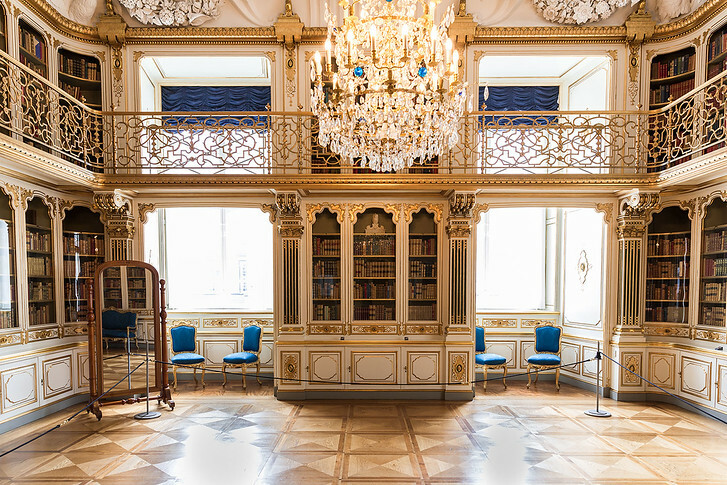 There’s also a number of interesting side museums featuring the Royal Carriages & Stables, the Royal Kitchens and Royal Theatre where Hans Christian Andersen worked. Afterwards, have a bite to eat at the Royal Smushi Cafe. This beautiful restaurant has whimsical, feminine decor and is the perfect place to rest for a cup of coffee and smushi sandwich. Danes love their open faced sandwiches, called smorrebrod, and here you can sample lots in sushi size! Next, don’t miss a photo at Nyhavn. 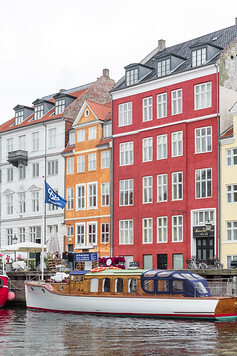 The colorful houses that line the canal were once taverns and brothels, but now this picturesque spot is the hallmark picture of every Copenhagen guidebook. For dinner, eat at Höst – a highly rated Copenhagen restaurant serving contemporary Nordic fare. The decor alone is a reason to come! It’s decorated in the most beautiful rustic style and the pre-fixe is a great value. And that’s it! A whirlwind 3 days in Copenhagen hitting all of the city’s best and most known sights. I’ve omitted Copenhagen day trips from the itinerary due to time constraints. But, having spent a full week in Copenhagen and journeyed outside of Denmark’s capital, I highly recommend an extra day or two to explore! 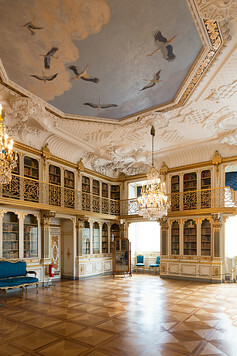 We visited Kronberg Castle, also nicknamed Hamlet’s Castle or Elsinor after Shakespeare’s famous play as well as to the Louisiana Museum of Modern Art. Other friends recommended a day trip to Malmo in nearby Sweden. If you don’t have time, save these for a future trip to Copenhagen! Ah, this makes me miss my home so much! 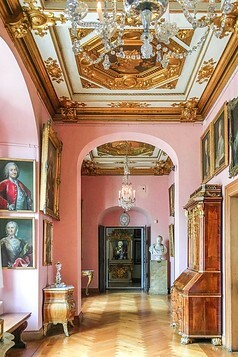 So happy to be visiting later this month. I loved Copenhagen!! Beautiful city and such great quality of life. Where do you call home now? ahh its one of my favorite cities. definitely add it to your travel list!